Attorney George Conway, husband of White House counselor Kellywanne Conway, responded to President Trump's tweet that said "totally clears the President" shortly after prosecutors filed sentencing documents against Paul Manafort and Michael Cohen. White House Memo: Eric Trump Weighs In on Kellyanne Conway’s Husband. He Doesn’t Like Him. The Trump family has tightened its embrace of Ms. Conway as her husband, George, a prominent conservative lawyer, has attacked the president. WASHINGTON (AP) — Mueller: Ex-Trump campaign chair Manafort lied about contacts with Trump administration officials, Russian associate. WASHINGTON (AP) — Special counsel Mueller says in new filing that Russia reached out to Trump campaign as far back as 2015. 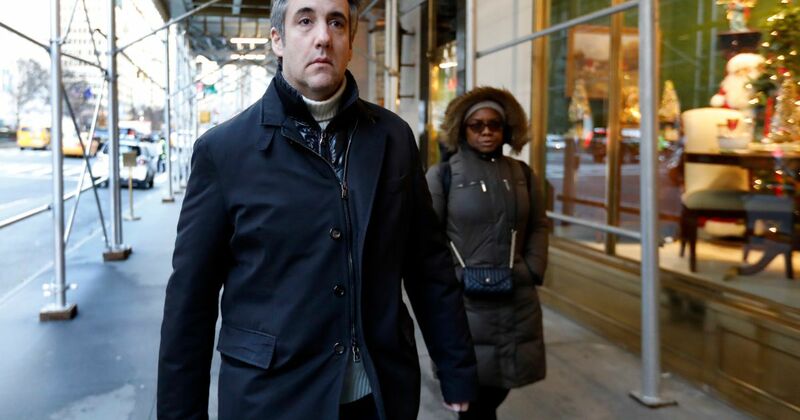 NEW YORK (AP) — Prosecutors say ex-Trump lawyer Michael Cohen deserves substantial prison time, despite his cooperation. A Democrat who sits on the House Intelligence Committee suggested Friday that Democrats could subpoena Donald Trump Jr. and White House senior adviser Jared Kushner next year as part of investigations into Russian meddling in the 2016 election. The change is designed to boost the number of H-1B recipients with a master’s degree or higher from U.S. institutions by 16 percent.